I never know how to start these things, you know. I’m sitting here in that chair again. I was given more stationary today. I wanted the blue and white ones but they gave me the weird pale green kind with the dumb smiley faces on top. You probably can’t tell ‘cause I colored over them. It’s fine I guess. I can’t complain. I saw you in the garden last Sunday morning. It was rainy that day but I could still make out your figure in the distance. I might be wrong but I think you saw me there also. You’re more faded every time I see you. A lighter shade of gray and oddly, translucent. It’s as if one day you’ll disappear. I’m afraid one day I might look and you’ll be gone. I watch from the window now because the doctor says it's best if I stayed inside for a while- he thinks I might catch cold or something. Do you remember the wall Paul? We had to hurry ‘cause the doctor found us away from the crowd and told us to get back inside with the others. I’m reminding you Paul because I need you to remember this. Always, remember this. And I want to tell you, I think I figured out why you’re fading. Though I haven’t been able to see the wall, from the window I can see the tree and I realized when the seasons change the sun shines through it and your hand is exposed. It chased the shadows away. I told you, that it wasn’t safe for us to be shadow people. Didn’t I tell you it would happen? I fear Paul, you have become one of them. The outsiders. Sometimes I feel as if I’m in the middle of that painting. Half of my body is covered with the sun and the light and the other half is cool and shaded in that vague, shadowy darkness in which the memory of you resides. That gray world is my home and it pulls me with all its strength, but sometimes the sun is more appealing and I feel a piece of me start to fade. Maybe it means I’m getting better. I’m pulled back and forth between them. I don’t want to join the light but that’s where you have gone and at this point I don’t care as long as I can see you again. Can’t you take me with you as you fade? Before you’re completely gone? Will we always be detached in separate worlds in between shadow and light. So close yet so untouchable and disconnected from each other. The doctor says you're better now or something like that. Does it means you’ve changed and that you don’t remember me? I remember the day you were released but it still feels like a dream. The doctor says I’m mistaken but I saw you Sunday in the garden that we always talked about. The garden on the other side of the fence. From the window I stared but I didn’t understand. Why were you there? Were you looking for me? Can you still see me here, staring from the inside, or am I fading just the same as you? The shadows are shifting and now the light shines through the trees. The sun tries to erase the memory. Soon, we’ll be completely invisible to each other. I need you to take me with you before it’s too late. I fear the sun has completely destroyed you. I wonder if you’ve forgotten about the other side of the fence and the other side of the wall...and our painted hands separate from the others. Separate Paul; we were separate together. We were apart of the shadows. But now I don’t know who or what you are. You used to be like me Paul-- Don’t ever forget that. I choose to remember you as the same Paul I remember but the doctor says you’ve changed. Like you’ve shifted and become human and you’re apart of a dimension now, one I can’t reach. The doctor says he’ll make sure you’ll receive these letters but I think he’s just saying it to make me feel better. I need you to write back this time. I really don’t know how much longer I can take this. I need to know you remember. If I ever meant anything to you. Even if you have forgotten you can tell me. 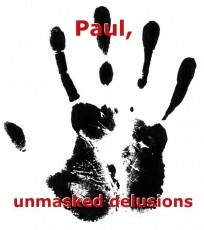 © Copyright 2019 unmasked delusions. All rights reserved. Wow....this is beautifully written. The gentle tenderness is so touching. Like a warm breath of air..
Glad you think so woods. :) Thanks for taking the time to stop by.